Your wedding is one of the most important and memorable days of your life, and you want the people who are closest to you to share in your special day. One of the most important things to remember is that you want to make sure that your guests are as comfortable as possible at the wedding. While it is true that an open bar and a delicious dinner will make you a great host, ensuring that your guests are comfortable will make you an even better one! Let’s take a look at some of the things you can do. 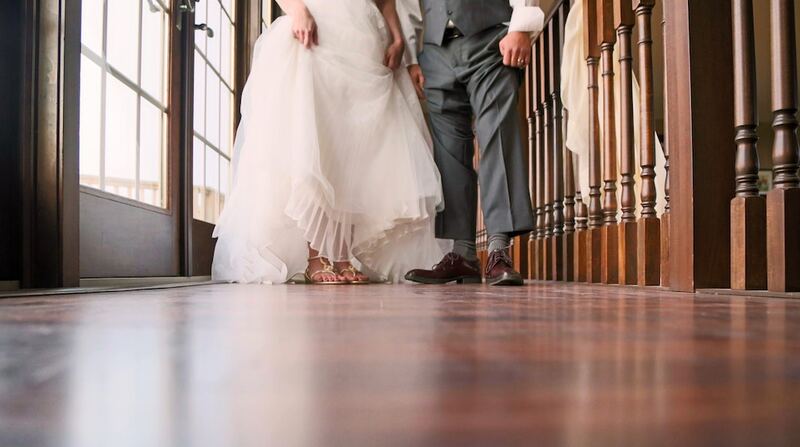 While small, unexpected things are bound to happen on the big day, like the caterer being one server short or the flower girl throws a tantrum right before walking down the aisle, stick to the schedule as closely as possible. Nothing will make your guests more uncomfortable than sitting at the venue waiting for the bride to walk down the aisle, or sitting at the reception waiting for dinner to be served. You want your guests to have the time of their lives as they dance the night away with you and your new spouse. However, if they are doing it in high heels or other uncomfortable dress shoes, they will be sitting down after just a few dances. One fun trend is to provide a basket of flip-flops, comfy socks or sneakers so that your guests can keep on going long into the night. If transportation is not provided for the guests, share information on how they can safely get from the venue to their home or hotel. Arrange to have some “designated guests” who will make sure that anyone who has consumed too much alcohol has a safe ride home. Or perhaps you can put a reminder for Uber, Lyft or even the contact information of local cab companies on your wedding website, or hand out cards at your wedding with information so that everyone finds their way home safely (and easily). While the guest will spend the majority of their time dancing, eating, and socializing, it can help to have some special activities planned for down times where your guests won’t know what to do. Consider having a photo or video booth to keep everyone entertained while you’re having your professional photos taken. When special activities are planned, no one feels forced to mingle, but instead can a wonderful time. It’s the extra touches that make a wedding special, so go the extra mile in providing comfort. Novare knows events – if you need assistance in any way to achieve the wedding of your dreams then connect with us!